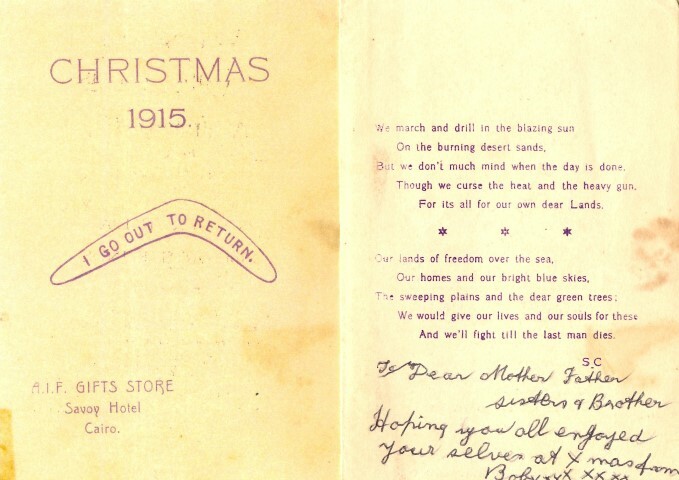 In 1915 Private Robert (Bob) Jeffery sent this simple card from Cairo to his family in Five Dock. It was printed on lightweight paper in Cairo and distributed to soldiers by the Australian Comforts Fund. At home it was lovingly preserved by his mother Margaret Jeffery in an album of postcards and letters sent by her two sons and nephew while serving in the First World War. After serving in the Middle East, Bob, like the message on the card, returned to his family in Australia.